Let’s talk cozy decor ideas. Today I’m joining in with a talented group of bloggers, the DIY Housewives, to share some of our very best past posts in the hopes that we can inspire you. 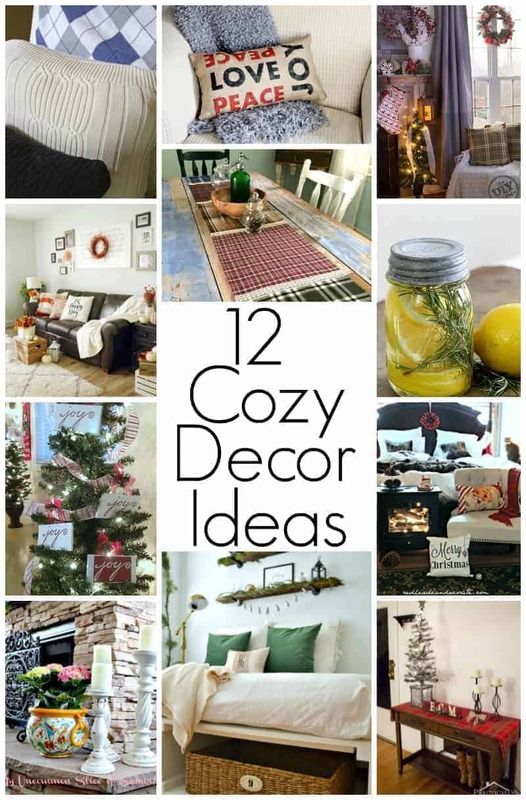 Every month we will have a different theme, and this month all about cozy decor. After all, it’s that time of year when we all crave cozy, right? 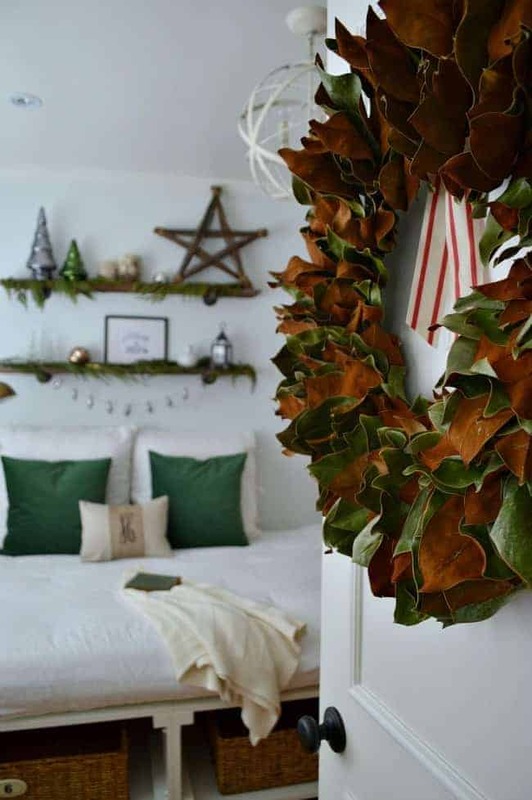 When I think of cozy decor, I immediately think of our house all dressed for the holidays. If you’ve been reading Chatfield Court for a while then you may recognize our guest bedroom from our Illinois house. I had so much fun adding color, texture and lots of greenery to give this favorite room that cozy feel. And cozy is especially important during the holidays. You can see it all dressed and cozied up with Christmas color, here. 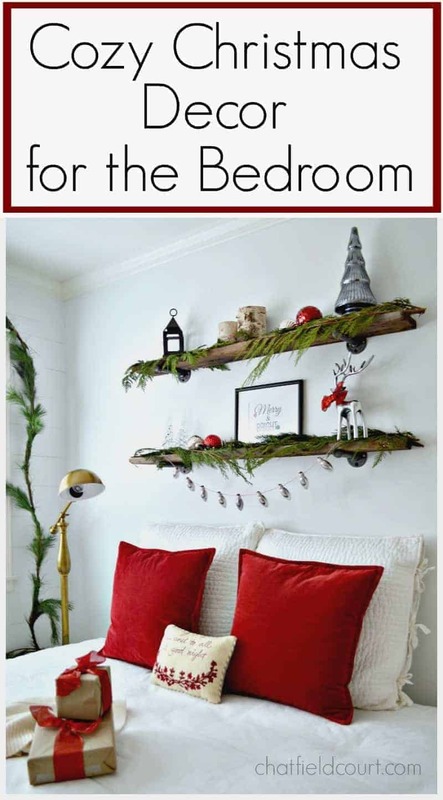 After you’ve checked out our cozy Christmas bedroom, make sure you stop by the rest of the DIY Housewives to check out their cozy decor ideas. 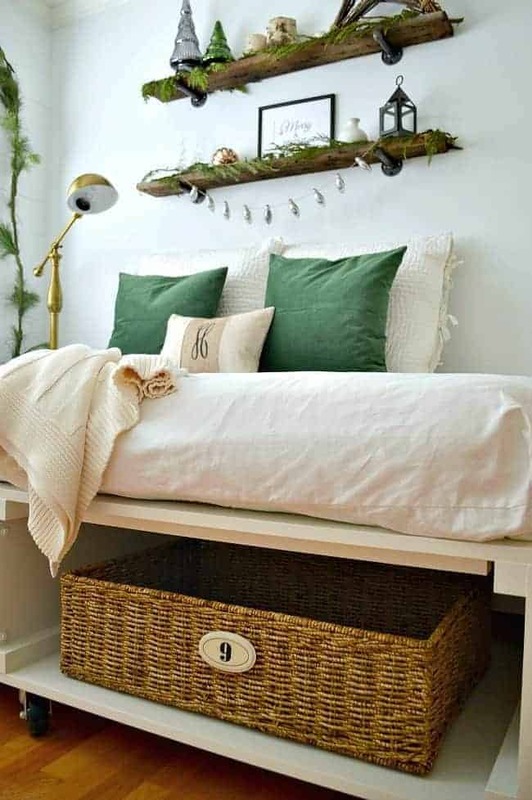 I know you’ll feel inspired to cozy up your own space.